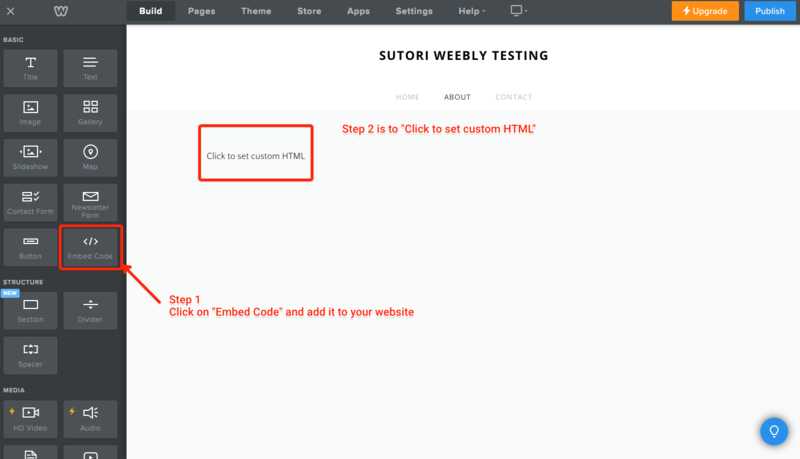 Please follow this guide in order to embed your Sutori into the Weebly website. You need to first make the story public. Click on "Share" on the top right of the story under the banner and then on the &apos;Embed&apos; tab. 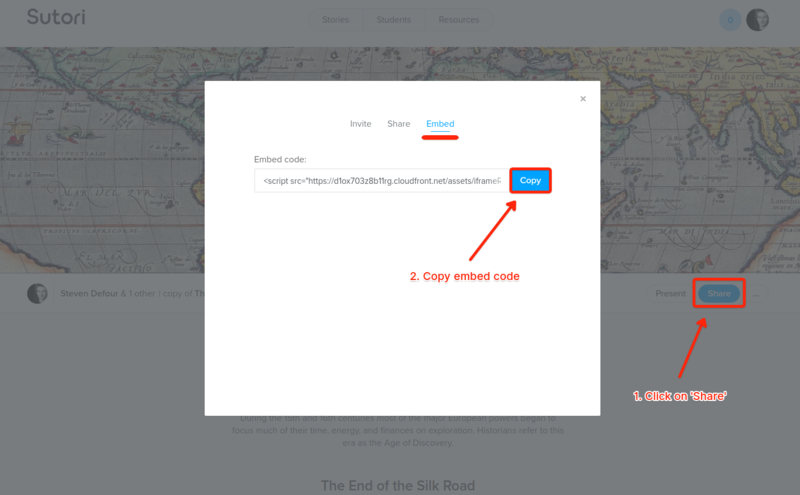 Make the story public and then copy the embed code. 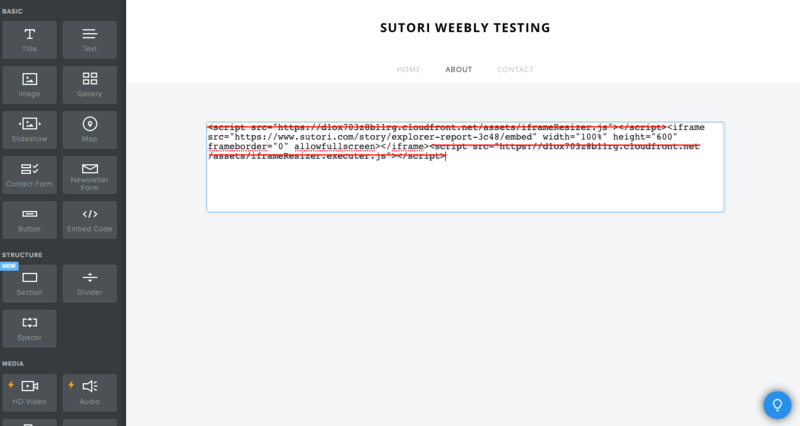 You will then have to do some editing of the Sutori Embed code as shown on the screenshot below. Remove the <script></script> tags and keep the <iframe></iframe>**** section only. 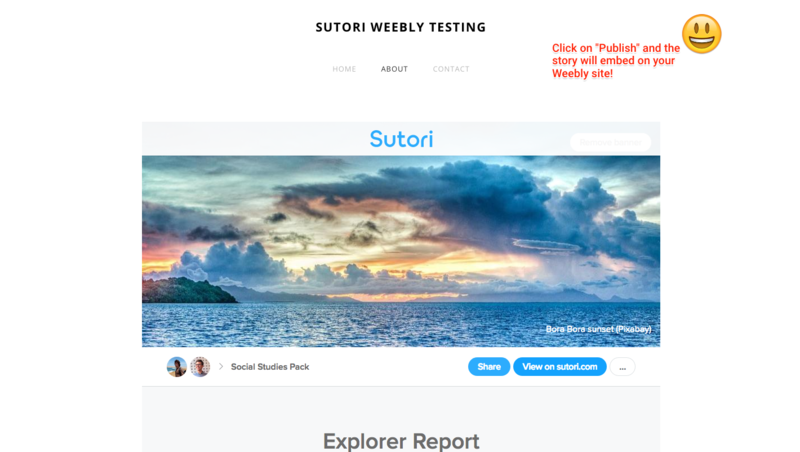 Step Three - Publish and you will see the results!